On today’s episode of All in the Industry®, host Shari Bayer’s guest is Mark Rosati, Culinary Director of Shake Shack, a modern day “roadside” burger stand, serving up delicious burgers, shakes and more since 2004. Born and raised in Connecticut, Mark grew up enjoying many of the state’s characteristic roadside seafood and burger shacks. By fate, he met Gramercy Tavern’s opening chef, Tom Colicchio, setting his hospitality career in motion. 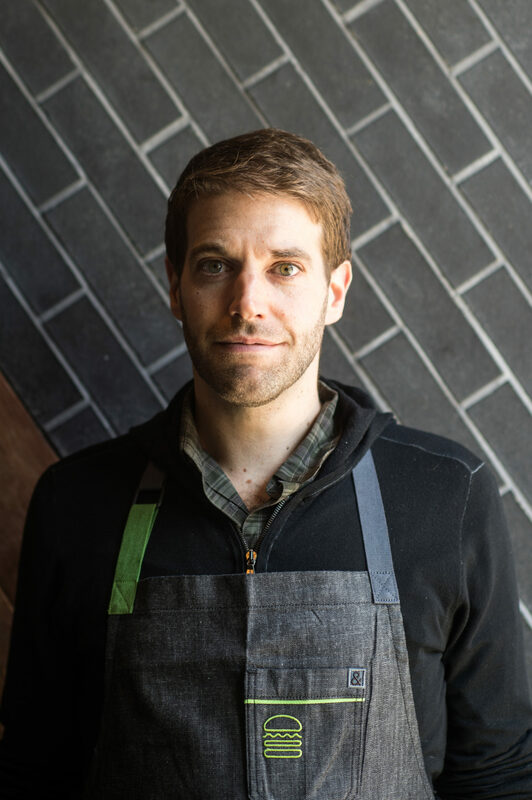 In 2007, Mark joined the original Madison Square Park location of Danny Meyer’s Shake Shack as a manager, which turned to his role as culinary development manager, and then to culinary director in 2013. With its mission to Stand for Something Good, Shake Shack currently has over 200 locations worldwide. Today’s show also features Shari’s PR tip, Speed Round, Industry News regarding The Los Angeles Times’ revival of a separate food section, and Solo Dining experience at The Standard Grill with its new chef Rocco DiSpirito. Yes, he’s back! Listen at Heritage Radio Network; subscribe/rate/review our show at iTunes, Stitcher or Spotify. Follow us @allindustry. Thanks for being a part of All in the Industry®! Photo courtesy of Mark Rosati.